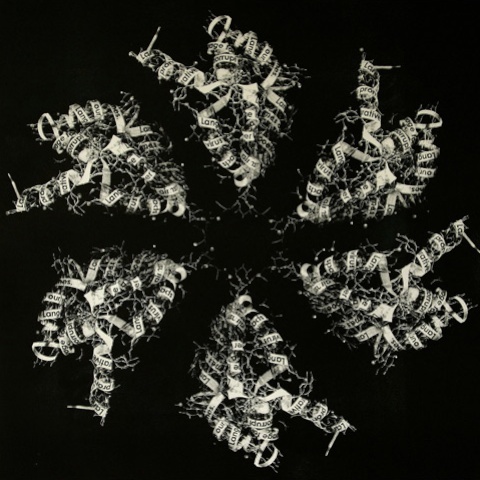 In 2007 I collaborated with the poet Christian Bök and produced a folio of prints based on his ideas. 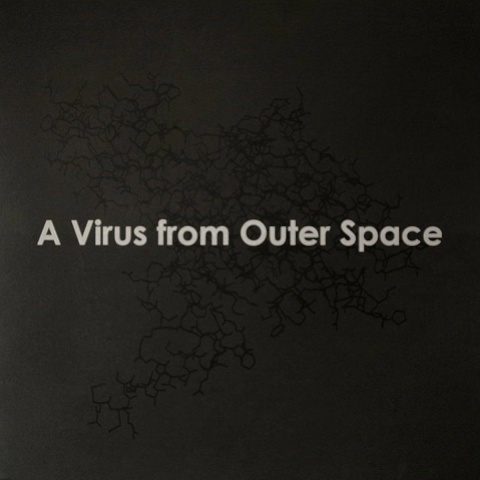 With the assistance of the geneticist Stuart Kauffman, Bök plans to translate a poem into a sequence of DNA and implant it into the genome of a bacterium called Deinococcus radiodurans. 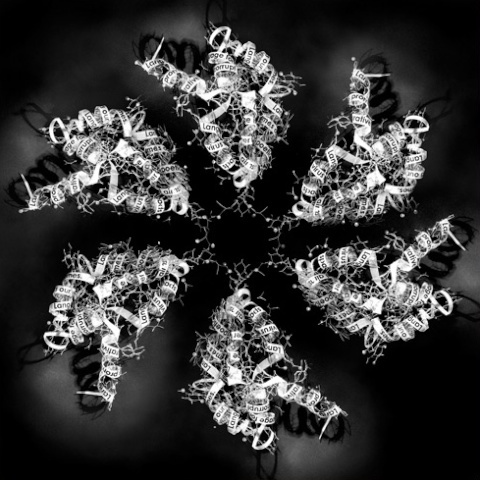 This image interprets this concept by weaving text into a model of the bacterium’s protein structure. Bök made a new poem for this folio. 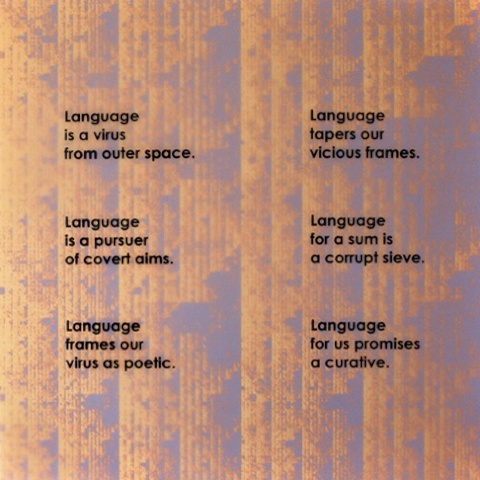 It is composed of six anagrams derived from William S. Burroughs’s quote that “language is a virus of outer space.” Each stanza represents one curl. The anagram also references the idea of DNA recombination. We expanded the folio with two color versions of the genome map of the bacterium and the text of the poem. 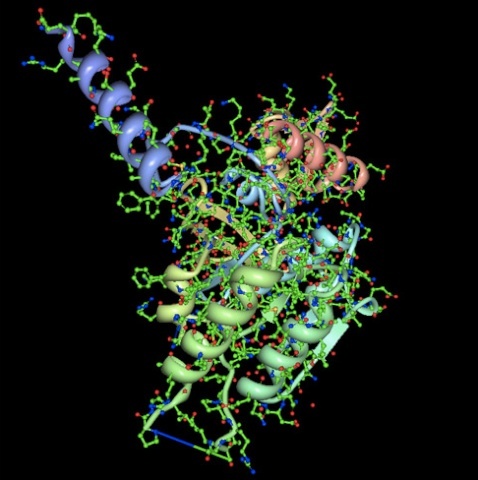 The image from my physical protein-model has been digitally manipulated to resemble the protein models I found on the internet. It is printed as a photo-lithograph in the fifth and final page of the portfolio. 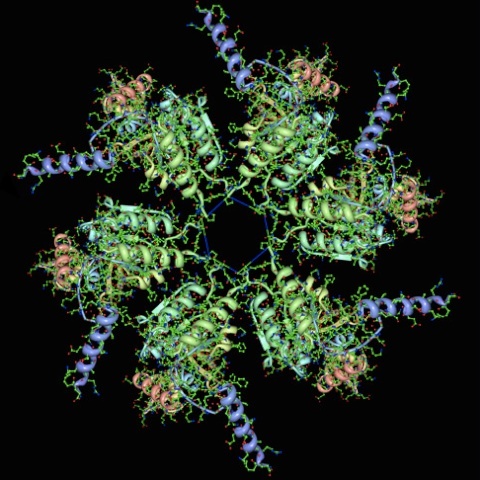 Internet research yielded interesting schematic visual representations of the proteins in this bacterium. 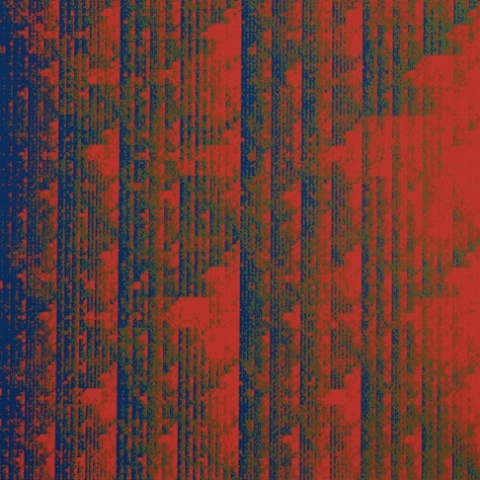 This protein is responsible for the bacterium’s unique resistance to evolutionary drift. 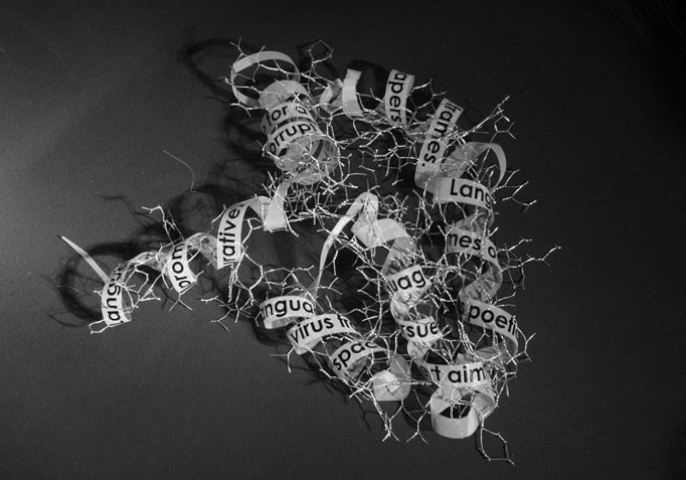 I made a physical model from poultry mesh and curled ribbons to resemble the digital model found on the Protein Data Bank site. For the protein ribbons, I used clear Mylar strips printed with the text composed by Bök.